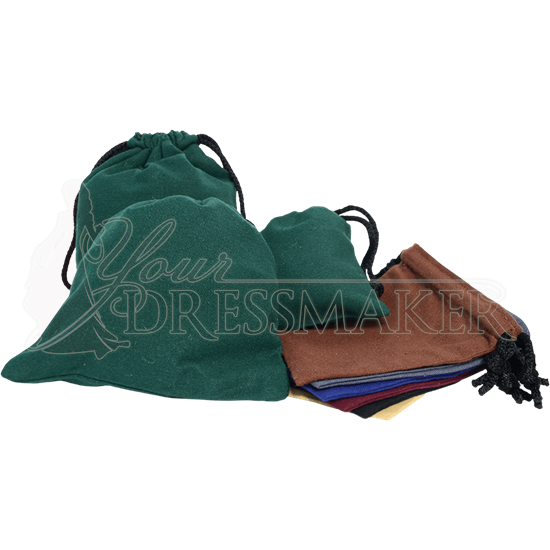 A good drawstring pouch is endlessly useful, and the Cotton Drawstring Pouch comes in a fantastic range of colors and three different sizes to suit both style and need. Carry your small essentials in one of these handy medieval bags. Each rectangular pouch is made of medium weight natural cotton. The top opening is cinched closed with a black drawstring, and all are lined with taffeta. Lining color will vary from pouch to pouch. 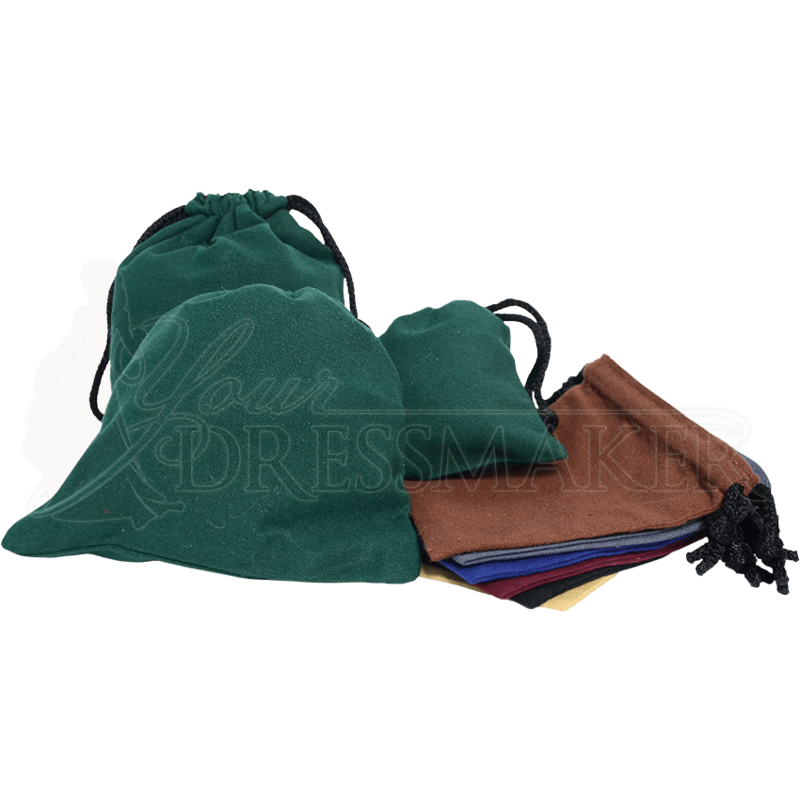 Great for carrying coins, cards, dice, keys, and more, the Cotton Drawstring Pouch is perfect for Renaissance fairs, reenactment, LARP, costume, and even everyday use.